Accessily is the first marketplace for Guest Posts. You can buy guest posts from high quality websites. You can sell guest post opportunities on your website. Still using email outreach to get backlinks? Switch to Accessily. 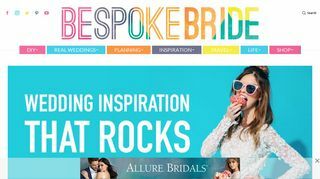 At Bespoke Bride we believe colour and creativity are a match made in heaven! I am obsessed with travel: Meeting new people, places and experiencing new. BOXROX magazine is the #1 Crossfit and functional fitness magazine. Accessily unites simplicity and technology to create content marketing. It's easy and free. 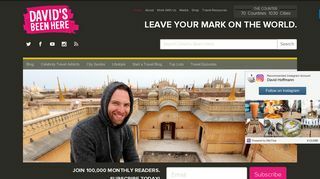 Browse through thousands of websites that accept guest posts. Instead of buying generic "SEO Packages", you can use our marketplace to get high quality backlinks and track your ROI. Filter results by category, audience or simply search by keyword. Get quotes on the same site from several sellers. Accessily is leading the way for with article management system. All your articles will be stored in one place and will be easy to manage. Buy quality articles from thousands of sellers. Conduct SEO tests on level of your articles. Manage your content in one place with control over usage. Accessily has created a better way to do it. Track your website backlinks over hour/day/week/month or even a year and mesure your backlinks ROI. Stop wasting your time writing endless Excel files, just manage. Get information like traffic, users countries, devices, browsers etc! Know what works best for your business using statics. Don't waste your time, Automate your marketing plan. Just pick publish date and the website owner will do it for you. Trying to split your marketing budget throughout the month? Now it's easy. Buy guest posts in a natural way for search engines. Manage your marketing customers for months with one click. We created the first ever guest post marketplace. You can buy guest post opportunities at quality, high traffic web sites, and get a link back to your website. Buying guest blog posts is easy with Accessily! All you have to do is sign up, then start using our SEO automation tools. We've created a directory of guest blog post opportunities of companies that are readily accepting guest posts... and are waiting for you! Each guest post opportunity has quality SEO metrics that we've analyzed. Data is now at your fingertips! And we've made managing articles even easier! You can upload your guest posts to the article library and easily keep track of them, edit, etc. Oh, and did we mention that we have article scheduling for built-in SEO automation? Yep, that's right! You can now even schedule your guest posts for fine-grain publishing. The publishers will work with you through our guest post platform to make sure everything's just right. After publishing, use our backlinks tracker to keep track of your SEO improvements. We've made it so easy that you can now buy guest blog posts in a matter of minutes, rather than months. So what are you waiting for? Give it a try today!